NASA has recently authorized the implementation and 2021 launch of the Lucy spacecraft. 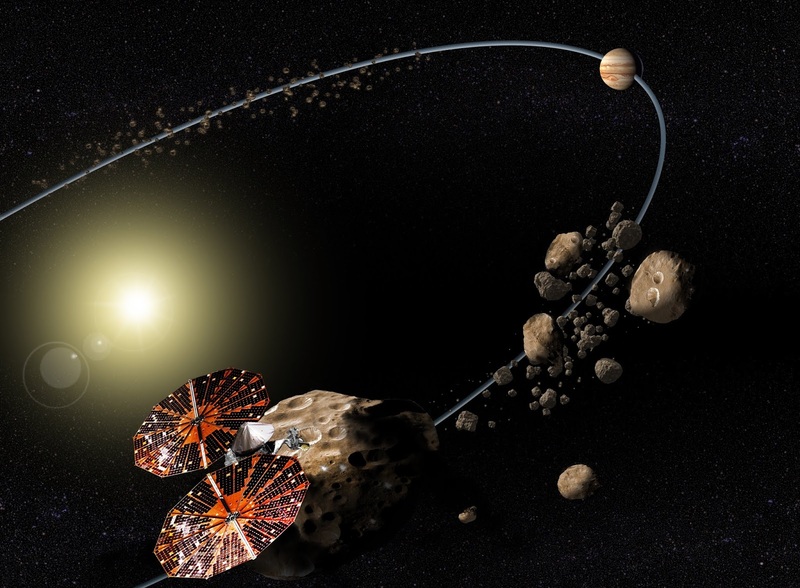 This will be the first mission that will visit the Trojans, a population of primitive asteroids orbiting in tandem with Jupiter near the asteroid belt. The confirmation review authorized continuation of the project into the development phase. The review panel approved the detailed plans, instrument suite, budget and risk factor analysis for the spacecraft. From here on in, the Critical Design Review will examine Lucy's system design before assembly occurs. During its 12-year journey, the spacecraft is expected to visit seven different asteroids - a Main Belt asteroid and six Trojans. Using a remote-sensing instrument suite, the spacecraft will study the geology, surface composition and bulk physical properties of these bodies at a short range.